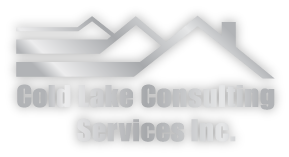 With years of experience in the residential and commercial construction industries, Cold Lake Consulting Inc. provides reliable, professional renovation assistance services. Our successful renovation company, Randy’s Renovations, was sold in 2012 and we’ve moved on to the consulting side of the business since then. We work with homeowners and contractors, advising and assisting them throughout the entire renovation process. While we no longer perform home renovations ourselves, our over 31 years of experience in the industry have given us the knowledge and skills to provide effective advice and assistance. We’ll meet with the contractors ourselves to discuss the renovation and any necessary costs, passing that information on to you in language that is easy to understand. We’ll also help you to screen your potential contractors and check their references, or recommend contractors that we’ve worked with in the past. For more information or to speak to one of our home renovation experts, call Cold Lake Consulting today.